NEW in Charter Ferretti 68 – Charter with Crew in Greece for max. 6 guests. Enjoy an unforgettable vacation, confirm now your preferred week! NEW bookable with us Lagoon 62 – Crewed Charter in British Virgin Islands for max. 8 persons. Set sails in 2019 with this amazing boat, confirm now your preferred week! 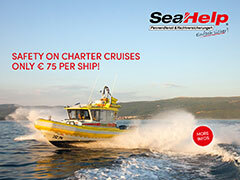 NEW bookable with us Sunseeker 68 – Charter with crew in Spain for max. 6 persons. Set sails in 2019 with this amazing boat, confirm now your preferred week!